The good news is that cancer in Pugs is no more common than in any other breed. But that doesn’t mean that cancer should not be a concern. The best course of action is monitoring your little friend for any lumps or bumps that weren’t there previously. There are many types of cancer and many are quite treatable. Just as with humans, the key is in early detection so an annual checkup is very advisable so that a complete set of blood work can be done. Surface tumors are one symptom that owners can watch for. Obviously not every lump is cancerous but, if you detect a strange lump or bump you should have your veterinarian check it out. Early detection, as we stated before, is critical so if you feel or see something that seems out of the ordinary take your Pug to a qualified veterinarian for a complete check up. Cancers are deadly especially if they spread. Cancer in a Pug or any other dog is treated in many of the same ways that cancer in humans is treated. Radiation, chemotherapy and surgery are often part of the prescribed treatment. 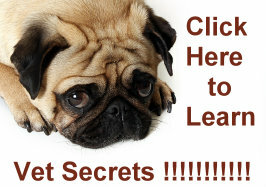 The key is a diligent monitoring of your Pug and annual check ups with your veterinarian. Keep in mind that, as an owner who loves and cherishes their little Pug, you need to take care of yourself too because you’re going to be your furry friend’s best resource in battling this disease. There are people to talk to and your vet should be the first place you start. Cancer in Pugs is survivable and reading some informative literature can be helpful for both you and your Pug.